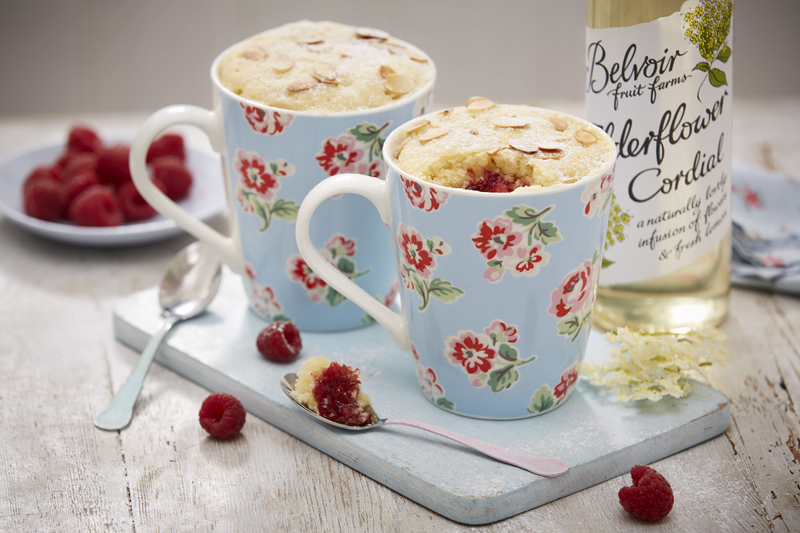 These elderflower bakewell mug cakes are a simply cute and filling treat! Beat the melted butter with the eggs and sugar. Fold in the ground almonds, flour and 2tbsp of the cordial. Mix the jam with the last tbsp of cordial and spoon into the bottom of 4 x 300ml microwave-proof mugs, then divide half the cake mixture between them. Add another half tablespoon of jam to each, then top with the rest of the cake mixture. Scatter over the flaked almonds. Put 2 mugs in the microwave and cook on full power (800 watts) for 3 minutes until risen and firm to the touch. Repeat to cook the other 2 cakes. Leave to stand; cool for 5-10 minutes, dust with icing sugar and serve with fresh raspberries and cream if you’re feeling indulgent.